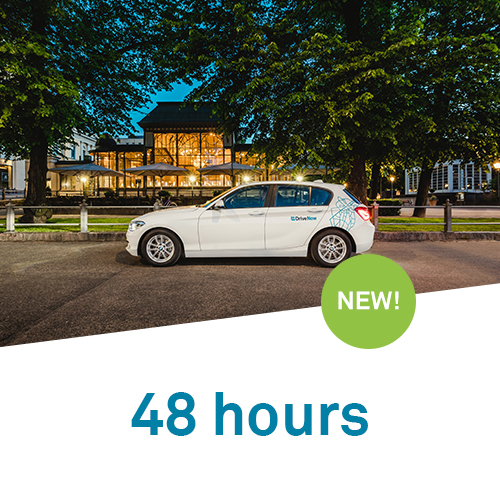 DriveNow Hourly Packages gives you more flexibility and a lot more time. The car is yours for a fixed number of hours and is a great alternative when you are going shopping or heading out of the city on longer trips. Each package includes a fixed number of kilometres. 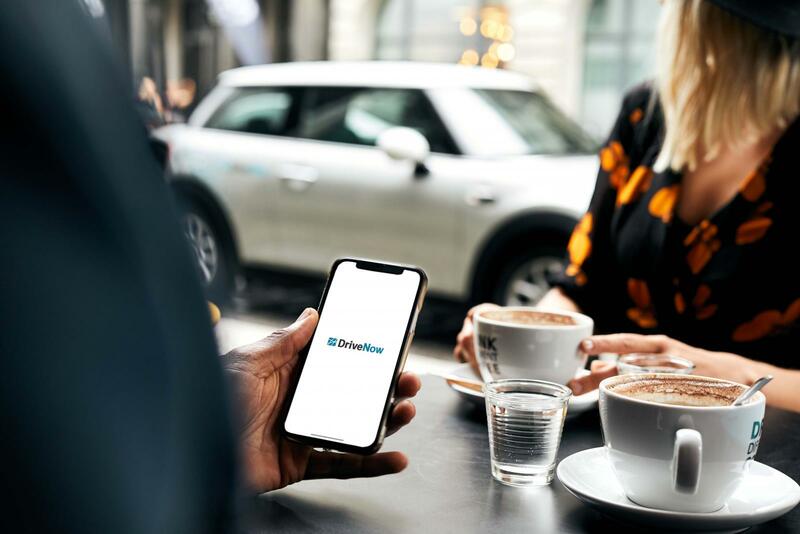 Insurance, petrol, charging, and parking inside the DriveNow Zone is always included with DriveNow. Plans for visiting someone outside the city? Or maybe you just feel like taking a road trip out in the Spring weather? 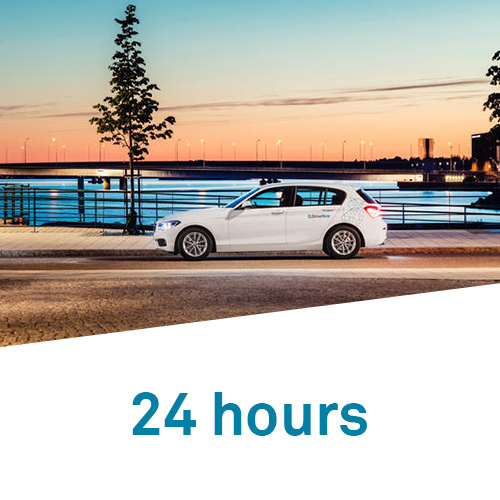 With Hourly Packages, you book a car for a fixed number of hours. 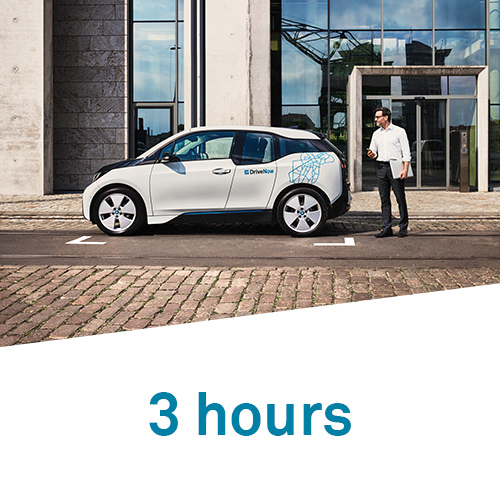 All packages include insurance, petrol, charging, and parking inside the DriveNow Zone. The package is valid for the reserved car on the current trip only and can only be bought after a reservation has been completed and before the car is opened. DKK 2 for each additional kilometre. If the trip time exceeds the number of hours included in the package each additional minute costs DKK 4. 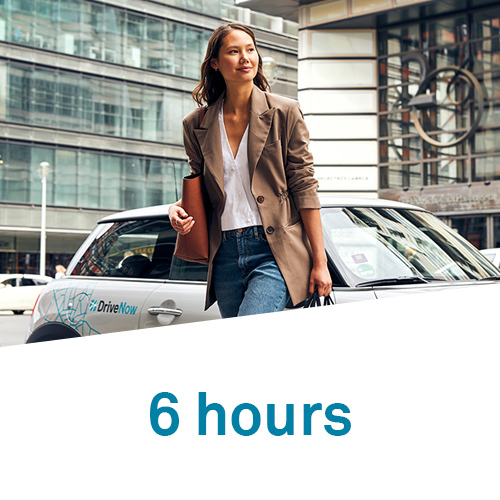 The Hourly Package starts after you have entered your DriveNow PIN. Please note that an Hourly Package cannot be split between reservations. The package can only be booked after you have reserved a car and before you unlock the car. 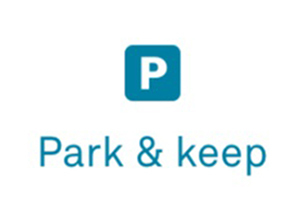 Press the icon 'Park & keep' in the app when you have parked the car. Wait for the car doors to lock and the front window LED to turn red. The car is now in 'Park & keep'. Please note, that you must pay for parking when you park outside the DriveNow Zone. Ready to go again? With the app, slide to unlock the car. Tip! To use 'Park & keep' you are not required to be inside the DriveNow Zone. 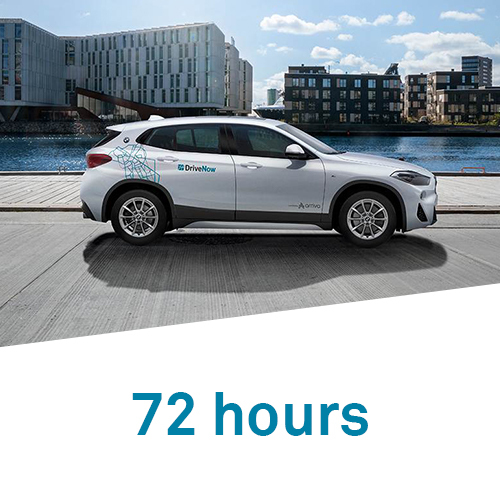 Start driving in Copenhagen today!